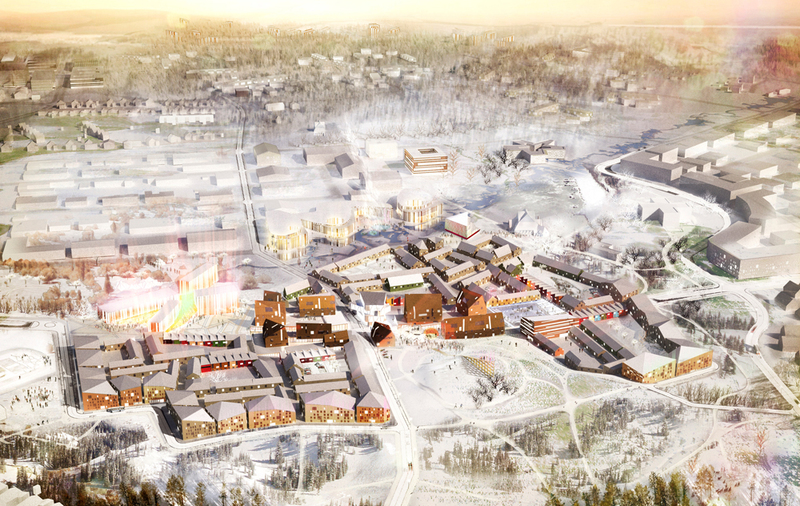 The city of Kiruna with a 100-year old history based on the mining history is facing a dramatic future. 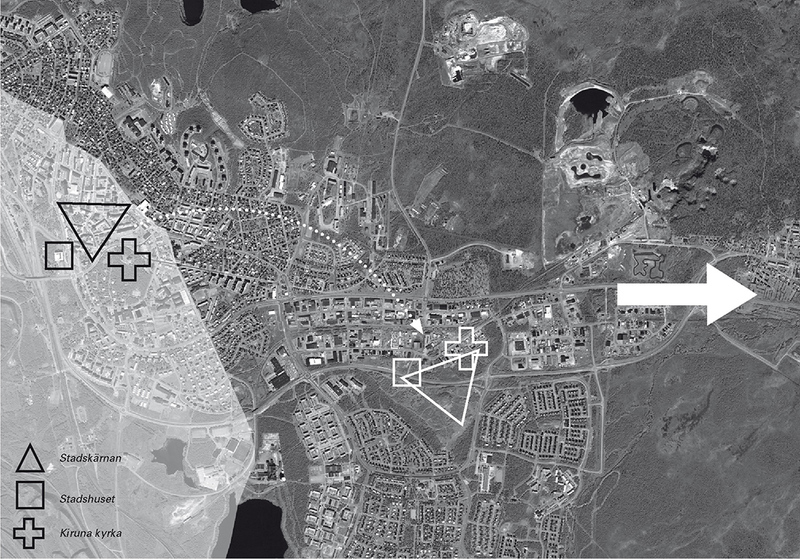 Due to the mine creating cavities and the following risk of landslides the city of Kiruna will be forced to partly move in a near future. An international competition was therefore held with the aim to find strategies how to develop sustainable strategies and a feasible process for the movement of the city. 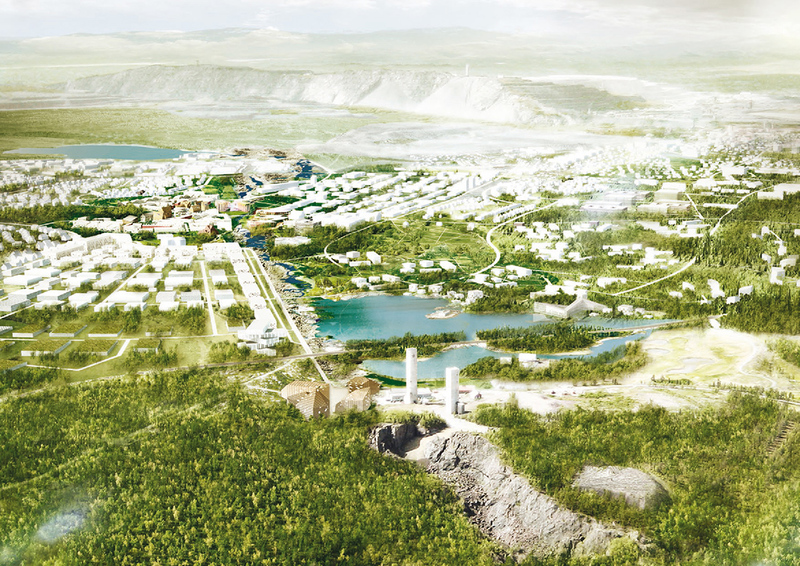 The proposal celebrates the vast landscape and the mining history, creating a long term strategy by defining three axis that will be the framework of the future city; the mine , the forest and the city axis. 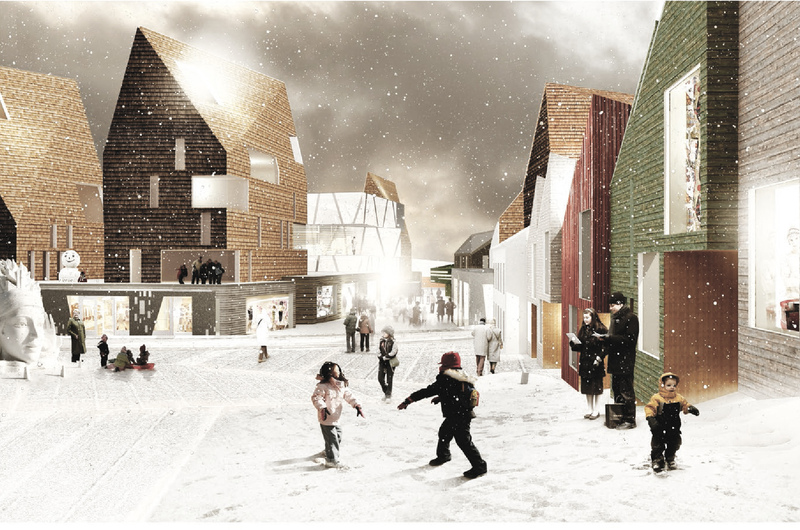 But the project celebrates the inhabitants of Kiruna even more: Kiruna’s new city centre is a small wooden town, which is built up in a winding network structure, a city where the curiosity to discover what’s around the corner makes you want to explore the city. 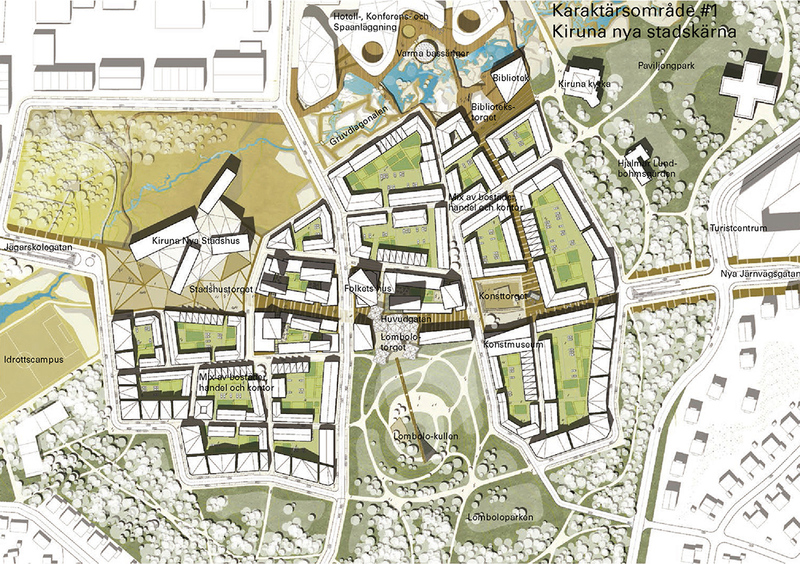 The new city centre is built for and by the inhabitants.